New Jersey is home to seven schools that offer master's-level communication programs, including several fully online or hybrid online/on-campus programs that make getting a master's degree more convenient for working students. Programs across the state provide communication students with preparation for Ph.D. programs, teaching jobs in academia as well as careers in a variety of communication fields, such as public relations, healthcare communication, marketing, advertising, journalism, and online and social media. With its proximity to both Philadelphia and New York City, the nation's media capital, there are tremendous communication career opportunities for graduates of these programs. In addition, the Garden State offers potential employment in any of its major industries, including healthcare and pharmaceuticals, information technology, financial services, and transportation and logistics. 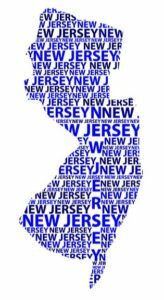 A densely populated state, New Jersey is also home to many local and regional media outlets, including newspapers, radio, and television stations that may provide job opportunities for aspiring journalists. Fairleigh Dickinson University offers a Master of Arts in Communication program on their campus in Madison. What to Know: The Master of Arts in Communication program combines study of communication theory and practice, and culminates in a capstone project in which students apply concepts they have learned during the program toward the creation and completion of a communication-based project. What Does It Cost? : Graduate level tuition for the 2018-2019 academic year is $1,272 per credit hour. This does not include additional mandatory university and course fees, or the cost of books and supplies. Anything Else? : Applications are reviewed on a rolling basis throughout the year. Keane University in Union offers a Master of Arts in Communication Studies program in an on-campus format. What to Know: The Master of Arts in Communication Studies program has a concentration in organizational communication, in which students can take a traditional approach to studying theory and research or a more applied approach. The program culminates in either a thesis or a comprehensive examination. What Does It Cost? : Graduate level tuition for the 2018-2019 academic year is $8,566 per semester for full-time students who are residents of New Jersey, and $10,998 per semester for full-time students who are non-residents. Anything Else? : Students can begin the program in either the fall or spring semester. The application deadline for the fall is June 30, and December for the spring. Montclair State University's School of Communication and Media offers an on campus Master of Arts in Public and Organizational Relations program. What to Know: The Master of Arts in Public and Organizational Relations program focuses on developing four areas of expertise: strategic thinking, communication skills, media savvy and leadership mindset. The 33-credit hour program typically meets once per week in the evening, and can be completed full-time over 4 semesters, or part-time in 5-6 semesters. What Does It Cost? : Graduate level tuition and fees for the 2018-2019 academic year is $713 per credit hour for New Jersey residents, and $1,029 per credit hour for non-residents. Anything Else? : Applications to the program are reviewed on a rolling basis throughout the year. Rider University offers a Master of Arts in Business Communication program on their campus in Lawrenceville, as well as an online Master of Arts in Business Communication - Health Communication Concentration program. What to Know: The Master of Arts in Business Communication program is offered weekday evenings on the Lawrenceville campus, and is designed to be completed in two years of full-time study (including summer classes). What Does It Cost? : Graduate level tuition for the 2018-2019 academic year for the College of Liberal Arts & Sciences is $870 per credit hour. Anything Else? : The application deadline for the fall semester is August 1, December 1 for spring entry and May 1 for summer entry. Rutgers University offers a Master of Communication and Media program that is available in a number of formats: on campus in New Brunswick, online or hybrid of online/on campus learning. What to Know: The Master of Communication and Media program is a professionally-focused program that prepares students for various careers in communication, including public relations, marketing and media. The degree can be completed in as little as 18 months, and courses are offered on campus, online and in a hybrid format. What Does It Cost? : Graduate level tuition and fees for 2018 are $18,984 for New Jersey residents, and $30,792 for non-residents. Anything Else? : Admission is offered on a rolling basis for the fall, spring and summer semesters. Seton Hall University offers a Master of Arts in Strategic Communication program on its campus in South Orange. What to Know: The Master of Arts in Strategic Communication program is a 36-credit program that offers courses in internet and communication, communication law, training and development and methods and strategies in communication. What Does It Cost? : Graduate level tuition for the 2018-2019 academic year is $1,212 per credit hour for the Communication and Arts programs. Anything Else? : Admission is offered on a rolling basis for the fall and spring semesters. The priority application deadline for the fall semester is May 1, and the priority application deadline for the spring is November 1. The New Jersey Institute of Technology in Newark offers an online Master of Science in Professional & Technical Communication program. What to Know: The Master of Science in Professional & Technical Communication program is designed for working professionals and offers the flexibility of completing coursework whenever it is convenient. Five core courses are taken by all students, and then students can customize their coursework by taking electives in their preferred areas of technical communication. What Does It Cost? : Graduate level tuition and fees for the 2017-2018 academic year was $22,690 for New Jersey residents, and $1,248 per credit hour for non-residents (online graduate programs only). Anything Else? : The application deadline for the fall semester is August 1, and November 15 for the spring semester. Rider University offers a fully online Master of Arts in Business Communication - Health Communication Concentration program that teaches students how to advance public health policy, influence the health and lifestyle behaviors of individuals and groups and improve overall health outcomes in their future healthcare careers. To learn more about Rider University's online program, click here. Rutgers University offers their Master of Communication and Media program in an online format in addition to a traditional on campus or hybrid format. The program has seven options for concentrating studies to prepare students for various careers in communication, including public relations, digital media and health communication. For more information about Rutgers University's online program, click here.